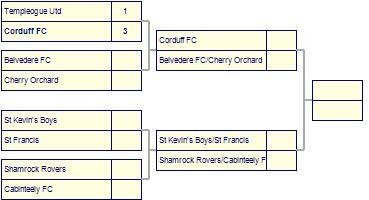 Shelbourne Academy are defeated by Belvedere FC. 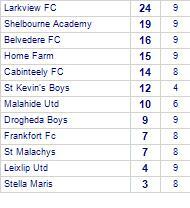 Belvedere FC beat Home Farm. 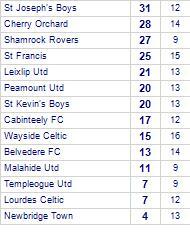 Malahide Utd despatched by Belvedere FC. 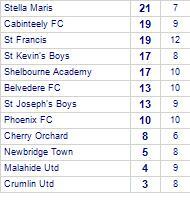 Malahide Utd are currently on a losing streak of 4 games. 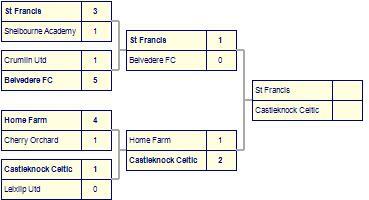 Home Farm lose to Belvedere FC. Cherry Orchard share spoils with Belvedere FC. 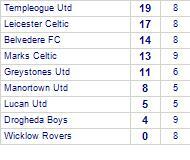 Belvedere FC beaten by Larkview FC.